Between 2013 and 2014, according to data analyzed by the Guttmacher Institute, the uninsured rate for women between the ages of 15 and 44 dropped from 17.9 percent to 13.9 percent. 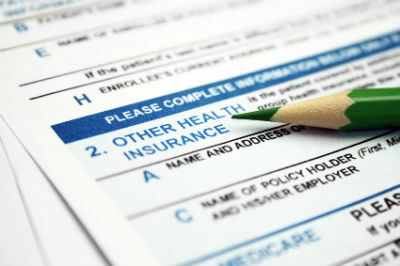 Survey after survey has demonstrated the dramatic effect the Patient Protection and Affordable Care Act has had on the state of American health care. The number of uninsured adults and children has plummeted, notably in states that accepted a federally-funded expansion of Medicaid. And now, a new study displays the effect the PPACA has had on women of child-bearing age. Between 2013 and 2014, according to data analyzed by the Guttmacher Institute, the uninsured rate for women between the ages of 15 and 44 dropped from 17.9 percent to 13.9 percent. The rate has presumably dropped further throughout 2015. Among women living below the federal poverty level, the uninsured rate dropped from 32.1 percent to 25.6 percent. In states that expanded Medicaid, the uninsured rate for women of child-bearing age dropped from 15.6 percent to 10.6 percent. In states that didn’t expand Medicaid, the rate dropped from 20.5 percent to 17.7 percent. In non-expansion states, only 16.7 percent were covered by Medicaid, compared to 23.2 percent in expansion states. Why the focus on women in this age group? For starters, women use health care services more than men, one factor that has historically contributed to women often being charged more for insurance than men. “A big piece of that is contraception, since the vast majority of women of reproductive age use contraception,” says Adam Sonfield, a senior public policy associate at the Guttmacher Institute, told Vocativ. And of course, the costs of preventing pregnancies pale in comparison to the economic and social costs of actual pregnancies, both planned and unplanned. A woman with access to health care is not only more likely to avoid unwanted pregnancies, but she is more likely to get the necessary care during a pregnancy to prevent expensive health complications to her and her child. Significantly, an untimely pregnancy can hinder a woman’s economic progress, making it even more likely that she will be dependent on government social programs in the future. “If you ask most women why they’re using contraception, they’re thinking about their life, they’re saying it helps me stay in school, it helps me be part of the workforce and plan my career and support my family,” Sonfield said.